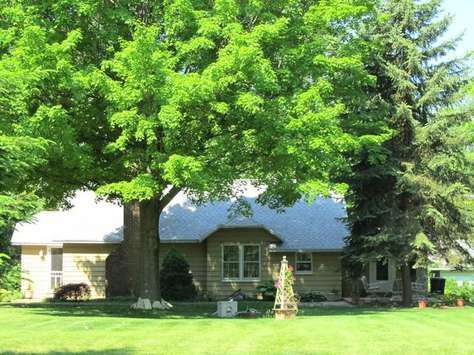 This home is perfect for family get-a-ways or wine tour groups on a budget. 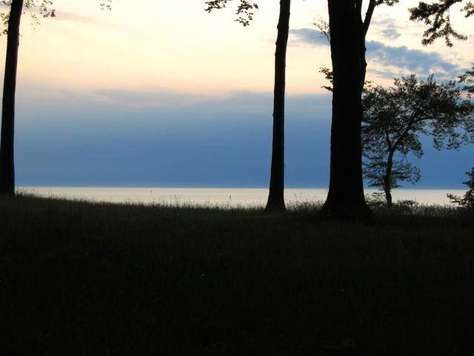 The lake bluff is a five minute walk from the house (approx. 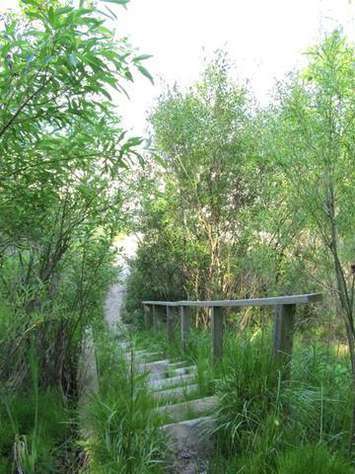 500 feet) with terraced steps built into the ravine leading to a private, clean beach with clean sand. 3 Night Minimum Is Available!. 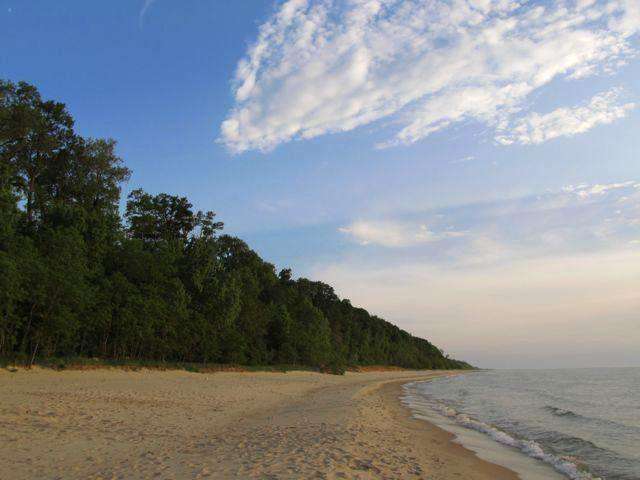 This is one of the best private beach access points on the Southwest shore. 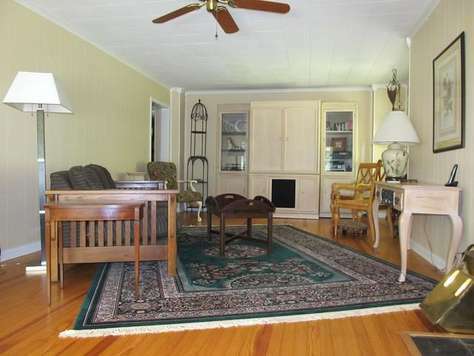 This home offers the conveniences of cozy bedrooms, cottage style kitchen with all the amenities, charcoal grill and open yard. 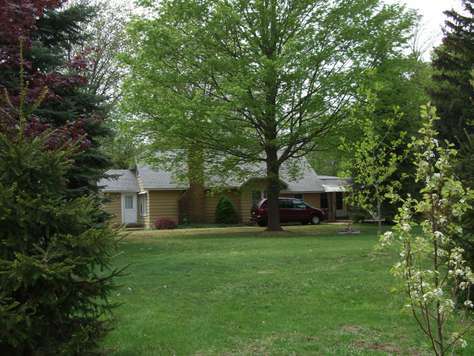 Location: This cozy home on a lovely triple lot offers plenty of green space to play, enjoy the fire pit and enjoy a wooded picturesque setting. 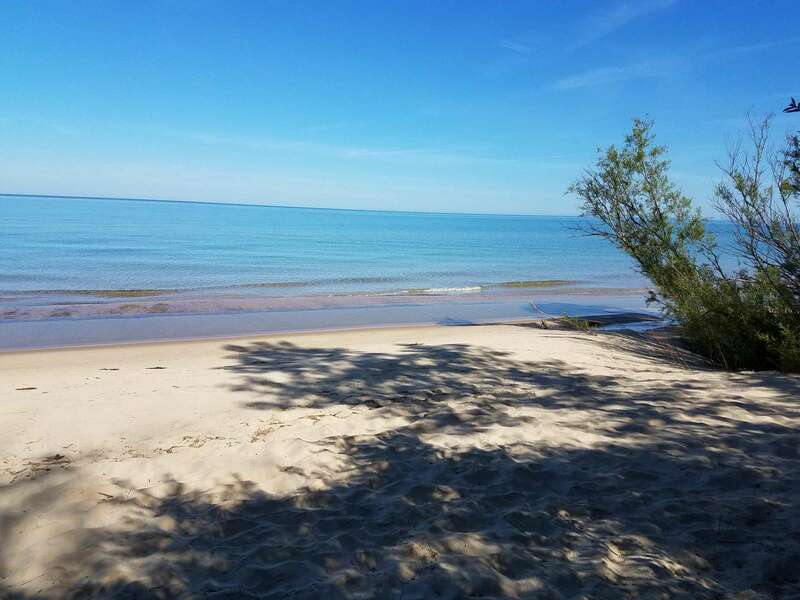 Just north of St. Joseph Michigan, the cottage lends itself to short drives to many of the area attractions yet feel like you are miles away from any hustle and bustle. Keyless entry provides you with a unique entry code during your stay so no one has to share keys. 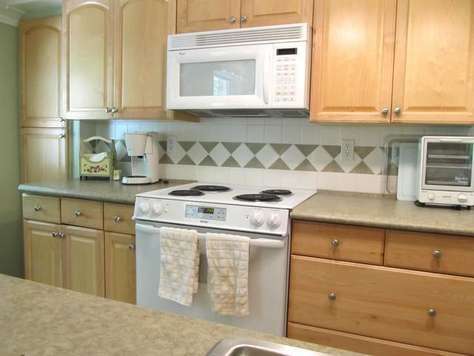 Basics include: WIFI access, cable TV, charcoal grill, microwave, dishwasher, central air conditioning, and 4 off street parking spots. 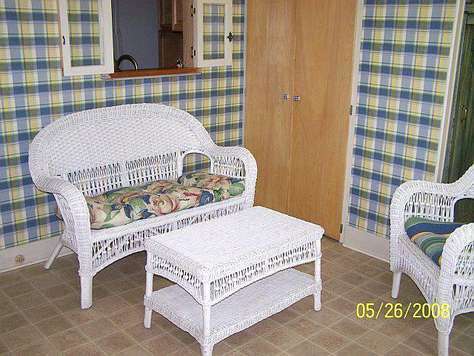 The laundry room is on the first floor with an adjacent sun room. 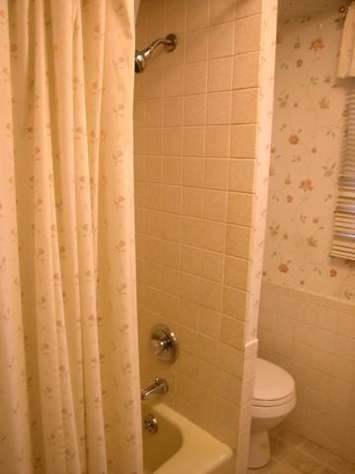 Bedrooms and bathrooms: On the first floor there is 1 bedroom with queen-sized bed and a TV. 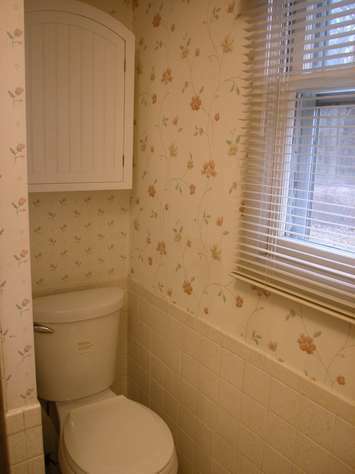 The full bathroom is located on the first floor. 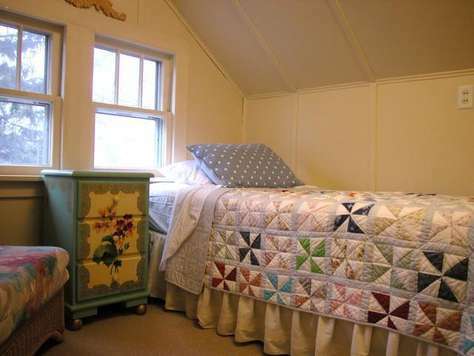 Upstairs, the 2nd bedroom has trundle twin bed and a full-sized bed. 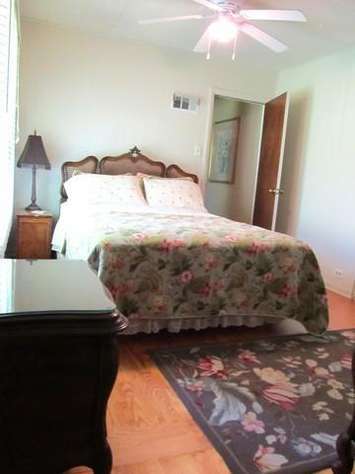 The third bedroom has twin-sized bed. 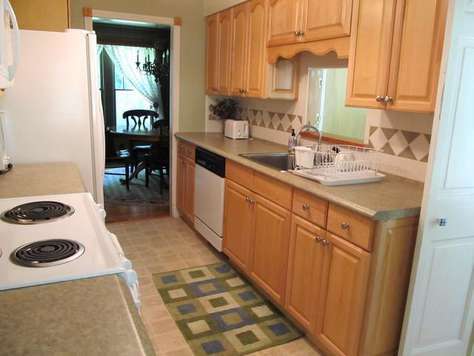 Kitchen: The kitchen is fully furnished with all the cookware and dishes you will need. 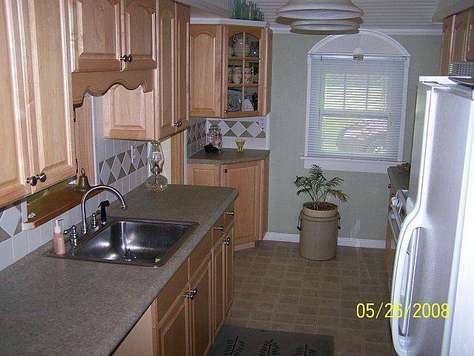 There is a dishwasher, refrigerator, microwave, and range. 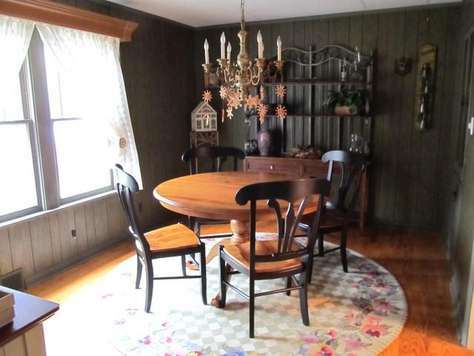 Dining: There is dining table adjacent to the kitchen that will accommodate 6. 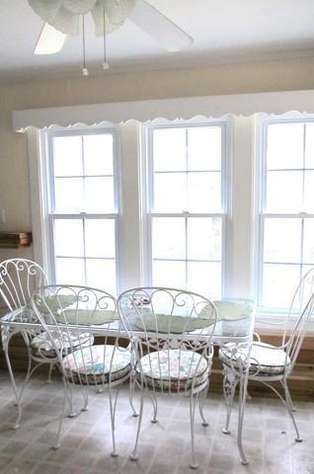 There is a sun room with a table that will seat 4. 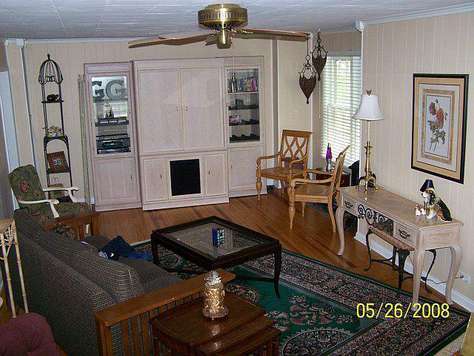 Living room: The living room has plenty of seating with TV with cable access. 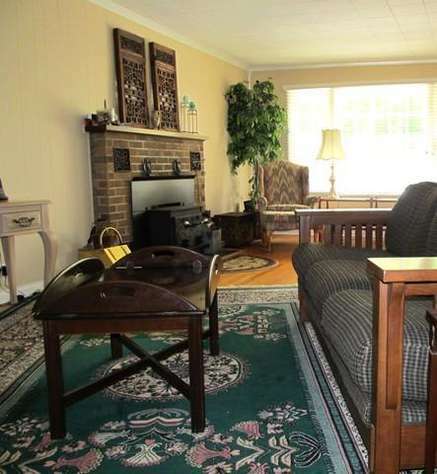 Adjacent to the living room is a sun room perfect for taking a nap or getting away to read a book. 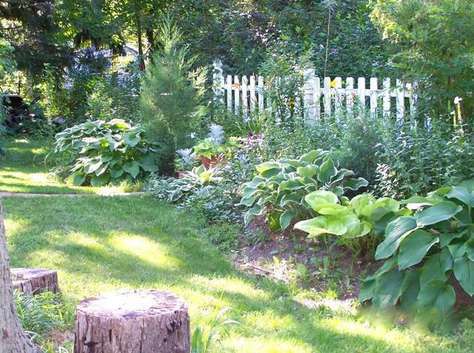 Unique to this house are the beautiful flower gardens and the large yard where kids can run and play. 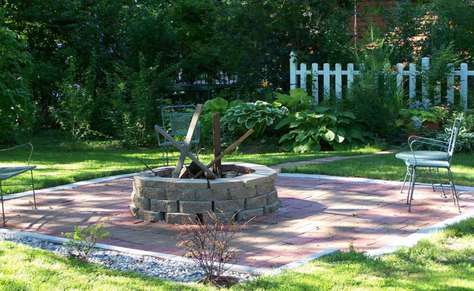 There are two patio areas; one for outdoor dining and the other for enjoying an evening fire. Maximum number of guests is 6 unless arrangements are made at the time of booking. Exceeding the maximum will result in the forfeiture of monies paid and termination of occupancy. 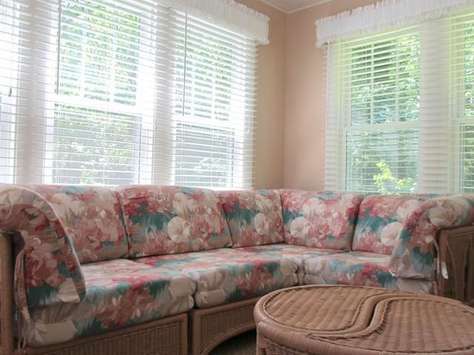 Be Our Guest homes are not to be used for any parties or special events. This property has 1 Queen(s), 1 Queen(s), 1 Single(s), 2 Single(s). 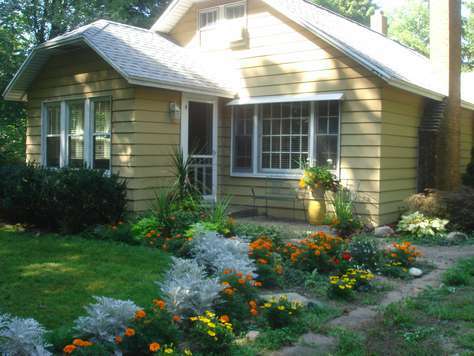 Very nice place to stay, cute little bungalow, but relatively pricey. The worst part is home away charged a service fee and I'm the one that found the property. John from "Be Our Guest" was the best, next time I'll call him direct and avoid the service fee charged, realistically the owner should have paid for it as it helps "them" have greater opportunity for bookings. Owner didn't return security deposit for 5 days. 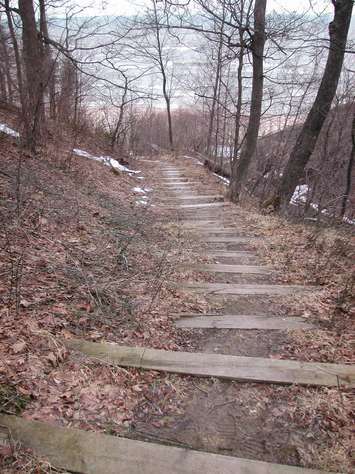 Beach was great, be prepared to climb about 75 stairs down to and up from beach, which was just down the road. 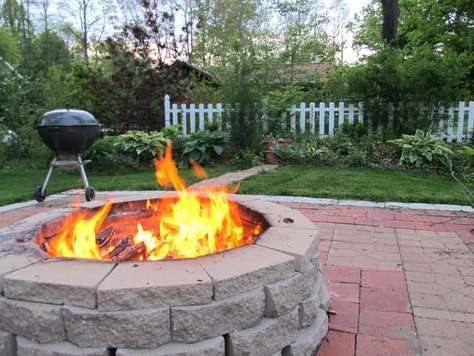 Adjoining neighbor by fire pit had an obnoxious barking dog. All in all it's what you make of it ... but not worth what we paid for, 4 noburs premium rate, cleaning fee, Home Away service fee and taxes ... Be Our Guest Response: HomeAway and most other major rental sites are now charging guests fees from 8% to 15% just for booking from their sites. We are very against this since we also pay to advertise on the site. Managers and owners never see any of the fee and must rely on the websites to refund that fee. We returned the security deposit in 5 days even though our contract says we have 10 days. 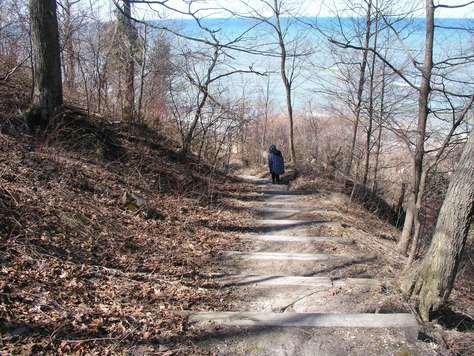 Since the property is located on a section of Lake Michigan where there are high bluffs, stairs are necessary to access the beach and our description actually tells you the number of steps. Thank you for being our Guest and your feedback is important to us. House was well-appointed and clean. 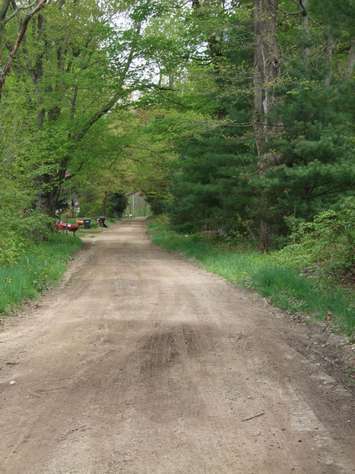 Location leaves something to be desired ..near busy road and no place to take a long walk or run. Opening the windows showed lots of dead lady bugs. 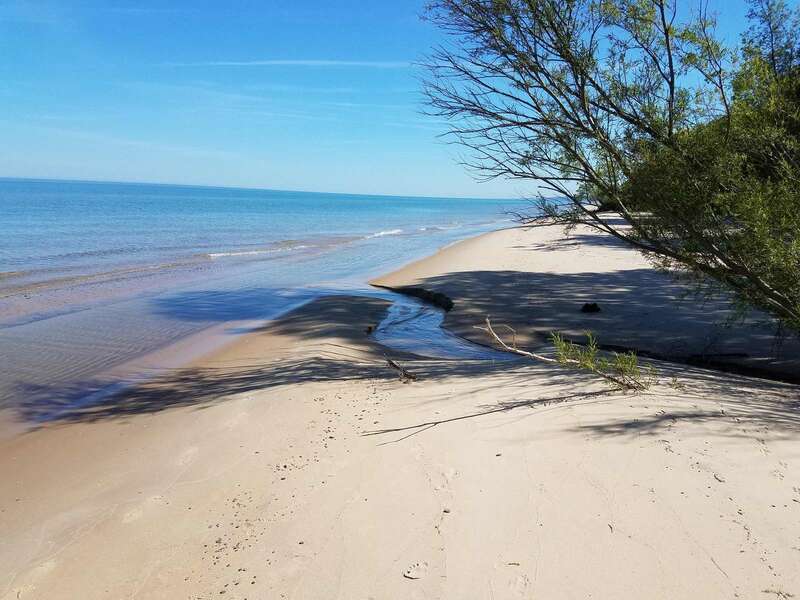 Nice beach access though and close by restaurants and near St. Joseph. A beautifully kept house that allowed our group of 6 to sleep and relax comfortably. We enjoyed the local beaches, sunsets, and blueberry picking! Would definitely return. We had a wonderful time at Key Cottage. 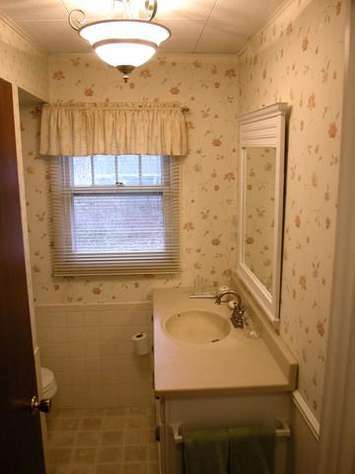 It was very clean and well kept. Our family of five had plenty of room and had some much needed "together time". Remembering the important things in life. Thank you for a great place to stay and hope to visit again in the fall if available. Thank you very much for a relaxing stay at Key Cottage. Stayed here mid October for a long weekend get-away from the rat race. What a pleasant surprise. 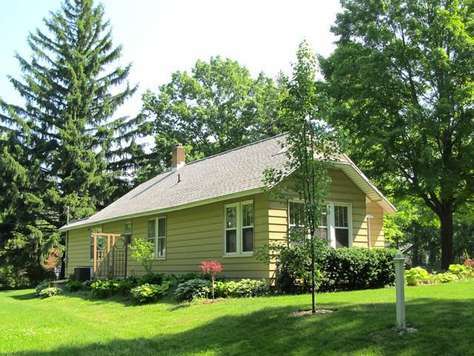 Looks like a little cottage from the outside, but inside is very roomy, but cozy. Good size rooms were welcoming. 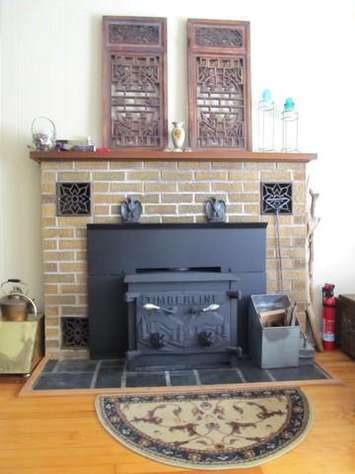 Nice wood burning stove in living room was plenty warm enough to heat the main floor during the cool evenings - didn't need the furnace. At the end of the street was a private beach for the 10 or so residents (homes)of the street. It was warm enough during the day we could sit out on the patio. 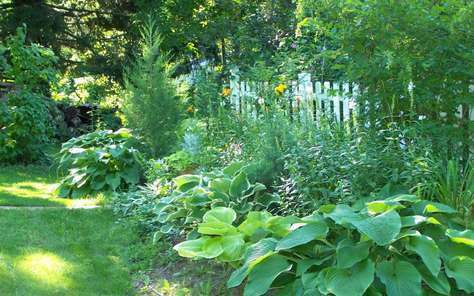 HUGE side yard provided lots of space for activities. Just a nice, quiet, comfy place to relax. I'd love to go back this summer to enjoy the beach in really warm weather. We found this cozy home had all the amenities we were looking for and more.The location gave us the ability to travel short distances to such places as South Haven, Saugatuck, St. Joseph, & Benton Harbor the home of a new Jack Nicklaus golf course community.The wooded area around this home showed us all the brillance of fall colors that we came to see.We ended our romantic evenings with a fine bottle of wine which we purchased during our visit to St.Julian's winery sitting by the warmth of a wood burning fireplace. 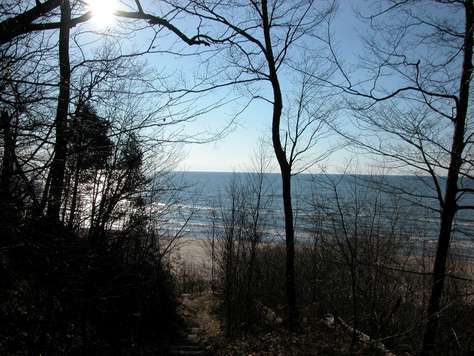 This charming cottage is just steps away from a beautiful private sandy beach on Lake Michigan. 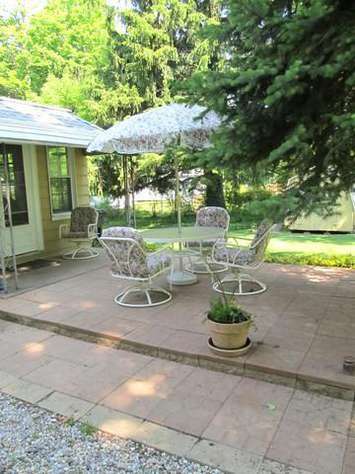 The unit contained all the amenities of a home and is situated on a quiet wooded lot. 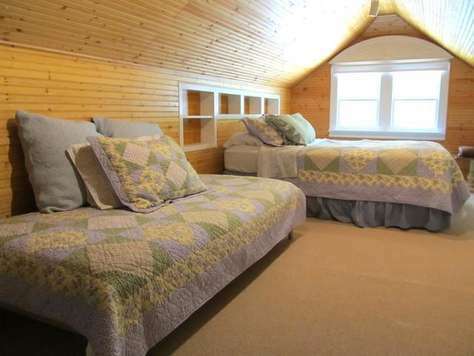 We were able to entertain overnight guests in the extra bedrooms. The onsite laundry is great. 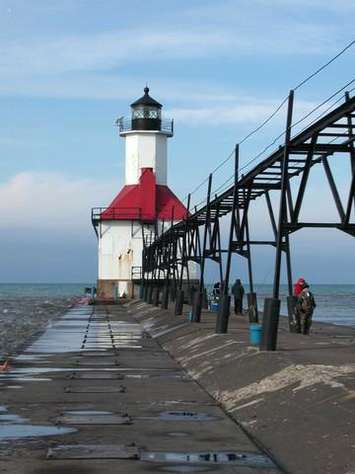 We enjoyed eating and shopping in the nearby towns of St Joseph and South Haven. Also, there are some nice golf courses nearby. We will definitely stay here again.